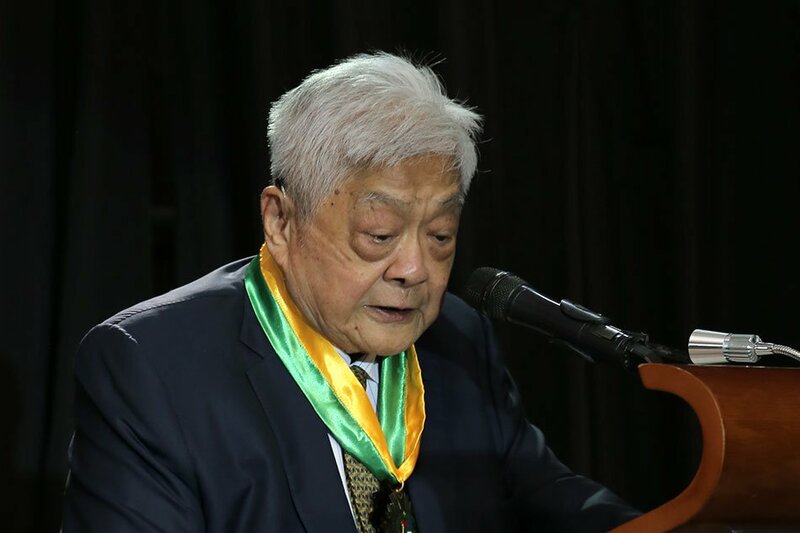 MANILA, Philippines – John Gokongwei Jr. is the third richest man in the Philippines and is the owner of several businesses including the snack food maker Universal Robina, Robinsons Malls, and the country’s largest airline Cebu Pacific. But did you know that he was once a street vendor in Cebu City? 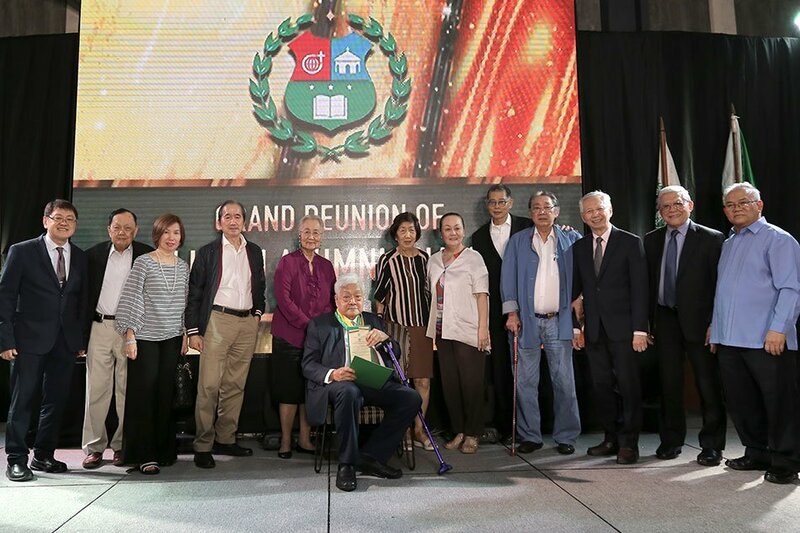 Recently, Gokongwei was given the Lifetime Achievement Award by his alma mater, the University of San Carlos in Cebu City. The school had also granted him an honorary doctorate in Business and Enterprise Development back in 2004. During his speech at the ceremony held last Friday, the 92-year-old billionaire recalled the moments he had to wake up very early in the morning just so he could sell ‘pools of thread, bars of soap, and candles’. 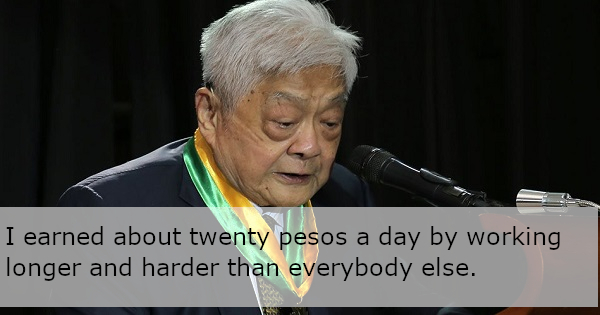 “I earned about P20 a day by working longer and harder than everybody else. But it didn’t matter since I really loved my work. I loved being an entrepreneur,” Gokongwei shared. Who would have thought that a street vendor would someday become one of the richest men in the Philippines? But though he’s now over 90 years old, the billionaire stays up to date with his many businesses and enjoys working. His advice to his family and to others? “Never stop learning! And always look back and be grateful to where you came from,” he said. It’s always special to be back here in Cebu, my hometown. And it is extra special to be here at my Alma Mater, University of San Carlos. I flew here this morning on the airline I named after this city I love, Cebu Pacific. I went to school here at the University of San Carlos for my primary school and my high school. I was valedictorian in grade school, and I was number one in my class in high school. Because of that, I received free tuition at school. I remember Fr. GRIES who taught us English Literature, and Mr. Quibilan, the principal. I especially remember Fr. Smith, who was the disciplinarian, because one day he caught me running in front of his office, and I had to stand in the corner for one hour. When I was 13 years old, my father died, leaving me to take care of my mother, my four brothers, and my sister. At the time, my youngest brother, James, was only nine months old. I took care of them all. Because the family has always been my priority. It was here in Cebu that I first earned my first few pesos. I used to wake up way before dawn to ride my bicycle to the public market many kilometers away. I set up a little table at the market to sell spools of thread, bars of soap, and candles. I earned about twenty pesos a day by working longer and harder than everybody else. But it didn’t matter since I really loved my work. I loved being an ENTREPRENEUR. And so all through the years, I stayed as an entrepreneur, loving what I did and working hard. And always learning from the school of life. Years later, when I was married to my lovely wife Bia, and had six children of my own, I finally had the means to go back to school. I went to De La Salle University to get my MBA. It took me four years since I was a working student. When I got my diploma it was one of the proudest moments of my life. Then I went to Harvard in 1972 for 14 weeks to take the advance management program. Today, I am 92 years old. I still wake up early and I still love to do what I’m doing. I still know everything what is going on in my company. I still love to learn and am always reading books, and now, online stories in this new digital age. Thank you, University of San Carlos, for being a large part of who I am today. Thank you for this lifetime achievement award.